To participate in our current Challenge please click HERE! We also have something special for you all today!!! 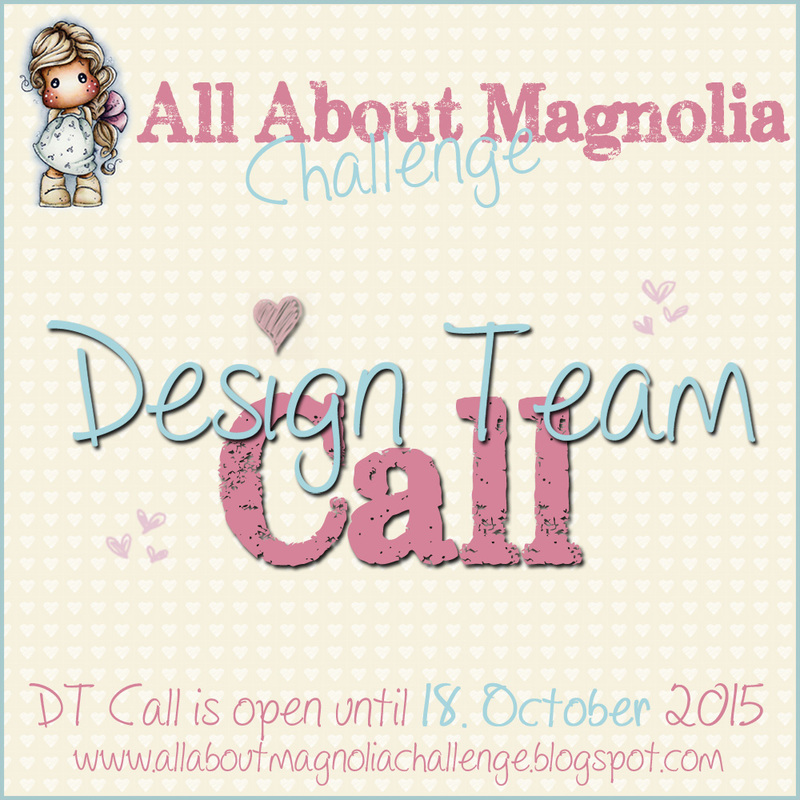 Would you like to be part of the All About Magnolia Design Team? Then this is your chance. We are have a Design Team & Guest Design Team Call right now!!! 2. You have the time to comments on entries of our participant. We are forgive numbers, so not all entries must comment from each person, but each participant receives a nice comment from the team! 3. You have the time to vote for out TOP5 selections after each challenge. 5. You have fun to play in a wonderful and super friendly Team!!! To participate in our DT & GDT call, please sign in to Inlinkz below with your Name and blog adresse and put behind your Name DT or GDT untill 18th October 2015! We are looking forward to hop over to all your wonderful blogs!